I think you’re going to love this wedding. 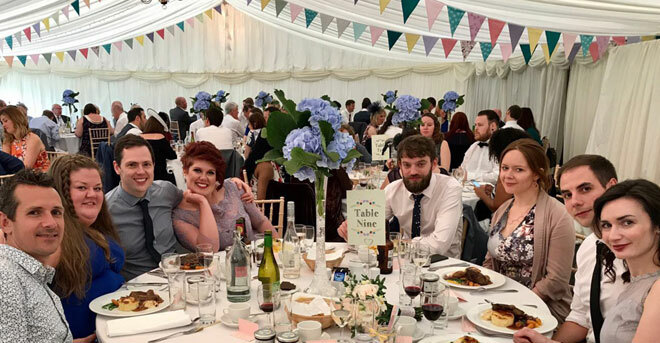 Fiona and Matt managed to create a wedding that had a relaxed informal look and feel that was beautifully coordinated and planned. 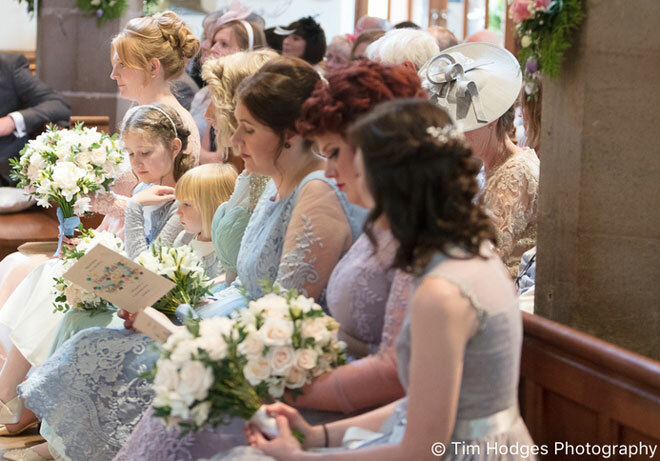 Fiona’s choice of soft muted pastel colours were stunning and provided the perfect colour theme for the look they were creating and the setting they chose. 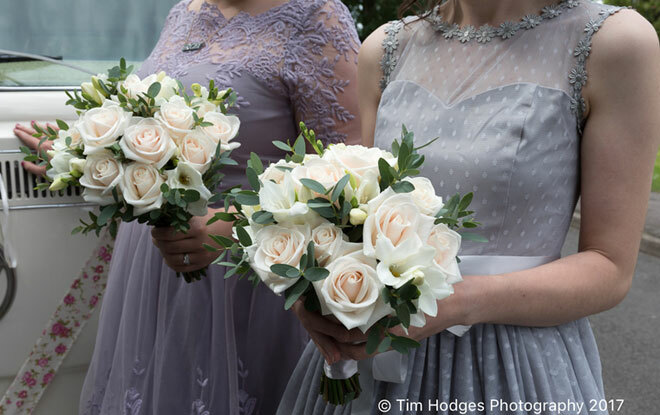 When I first met Fiona and her Mum to plan her wedding flowers she had chosen her bridesmaids dresses so that they all had different styles and colours but coordinated fantastically well together. The muted pastel palette is what I think made it work so well. 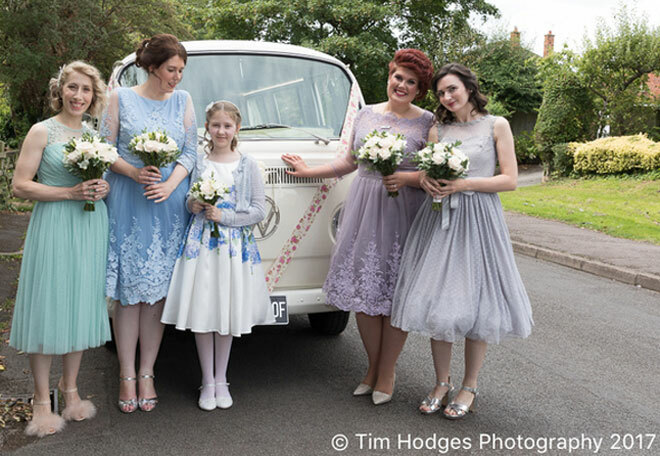 I love the way each bridesmaid had her own style (check out the shoes!) and individuality but they all linked together. Choosing dresses that were all knee length really helped coordinate the theme. Fiona’s dress also had a blush pink tint to it. 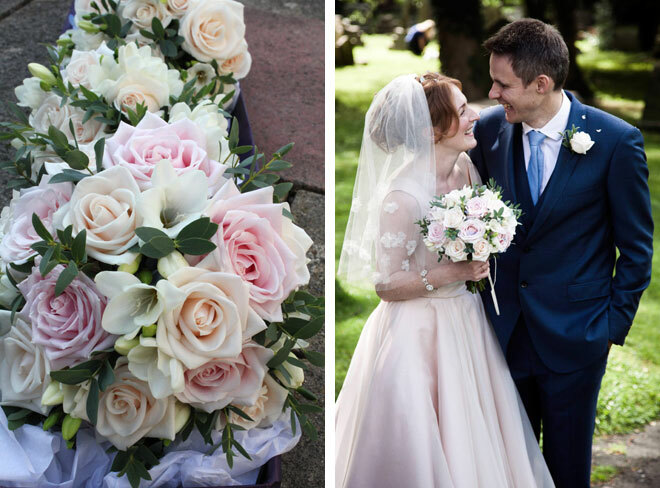 This colour was picked up in her bridal bouquet with the stunning ‘Sweet Avalanche’ rose combined with the rich warm butter cream ‘Vendela’ rose. This year, 2017, has been a year for blush and cream and it worked wonderfully for this wedding. As soon as Fiona saw my portfolio of designs around this theme she made her choices really quickly. I incorporated parvi eucalyptus as the soft grey/green colour works really well with blush pink and cream enhancing the muted tones. 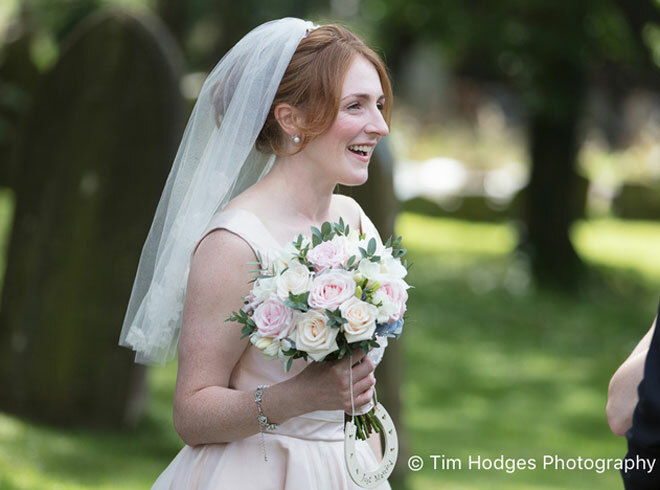 Roses and freesias worked so well for Fiona as they gave her the relaxed vintage style she was looking for all her bridal bouquets. Freesias and eucalyptus give you a beautiful delicate fragrance. The pastel blue hydrangeas that I used in all of the table arrangements have to be one of my favourites. 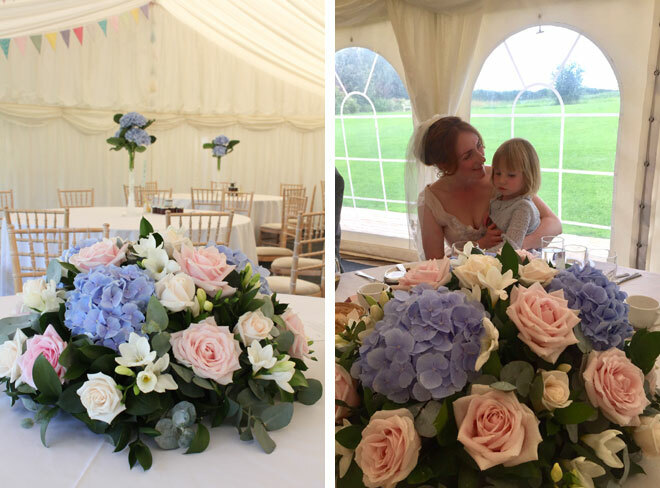 These flowers have become one of the most popular wedding flowers, they come in several shades of blue and many other colours including pink, green, purple and white. They add oodles of style and character just on their own. 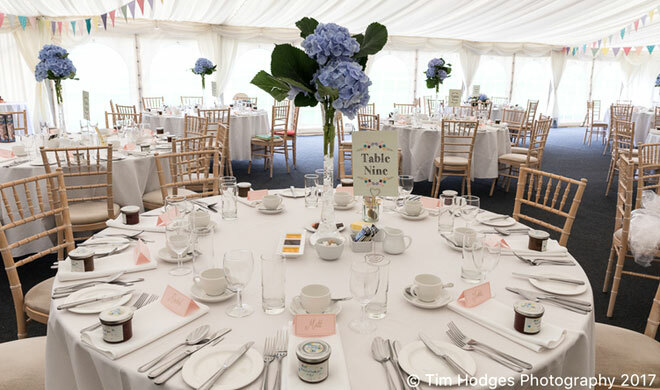 You can see how I have arranged them in our tall slim vases to add that pretty pop of colour to the marquee at Wethele Manor. This venue really suits a country-wedding theme as it’s surrounded by acres of beautiful Warwickshire countryside. 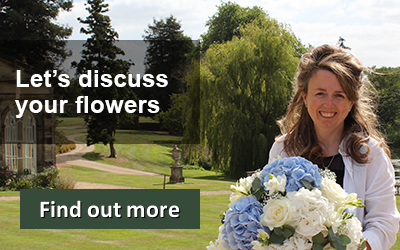 Simon and Rebecca at Wethele Manor work really hard to give couples a relaxed informal atmosphere. 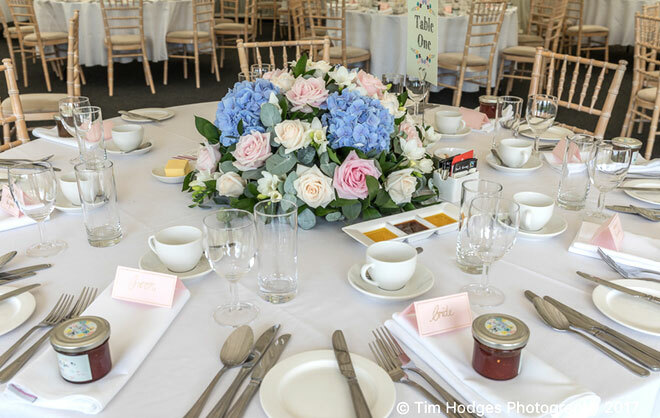 A round top table is often a popular choice for a more relaxed wedding and I thoroughly enjoyed creating the table centre you can see here in the photos. The piece brought together all of the wedding flowers. 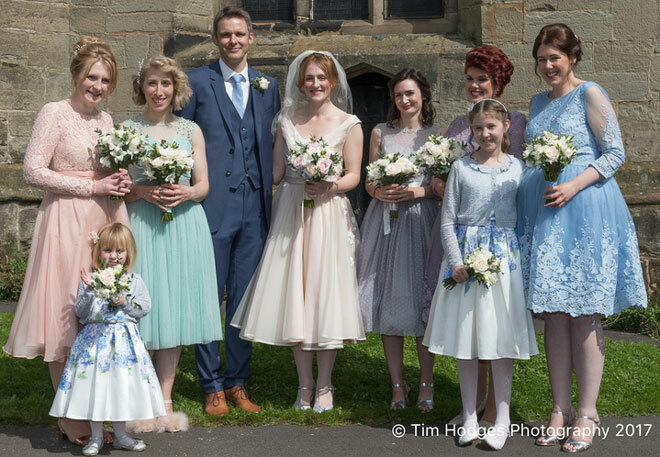 As soon as I arrived at Fiona’s mums house with the bridal bouquets the sun was shinning and everyone looked so excited. 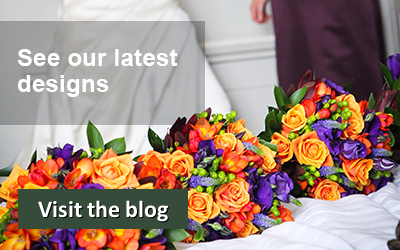 It was an absolute pleasure to work on Fiona and Mat’s wedding and I was delighted when she kindly let me use her wedding photographs on our website and blog. 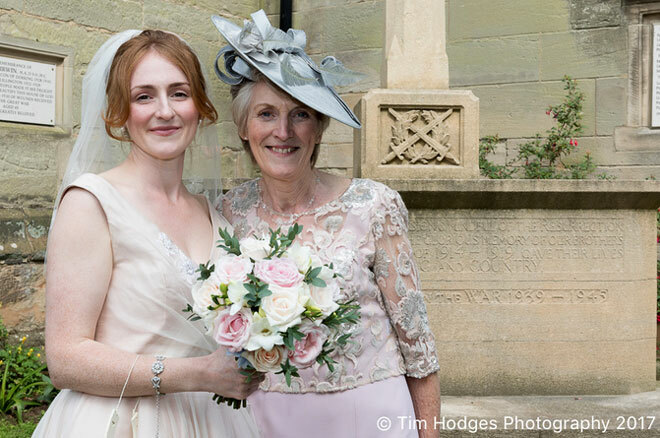 The official photographer ‘Tim Hodges Photograph’ has generously given the majority of the images. As well as some from Fiona’s friends and a few of my own. I hope you enjoy looking through them as much as I have.